My offer is aimed at demanding clients, who want to capture their special day in original, modern, and state of the art wedding pictures. Together with a second camera operator, Alexander Tempel, I am also offering wedding videography. My wedding photography concept consists of a documentary style coverage of the wedding day, including wedding portrait session on location. With the most couples I spend the whole wedding day, beginning from getting ready and ending with the last event of the evening. Additionally I am offering love story photo shootings before the wedding and also after wedding photo shootings at exotic locations around the world. Another interesting option which is called photo booth – the concept, which lets the guests to photograph themselves via remote control. It is fun and produces great, spontaneous pictures. The most sophisticated way to keep and present your wedding photos is an individually designed wedding art book, which tells the story of your very special day. I offer such exclusive books in various styles and additions and would be glad to show you samples. As a service I provide a password protected online gallery with all or selected photographs of your wedding, so you can share them with your guests and friends. Every wedding is unique and I would be glad to fulfill all your special individual wishes. To be able to make you a custom-tailored offer I need to know and discuss with you many details. For this reason I offer a completely free consulting without any obligations for you – either by phone, skype conference or, if possible, in a personal meeting in Hamburg. Please feel free to contact me at any time! 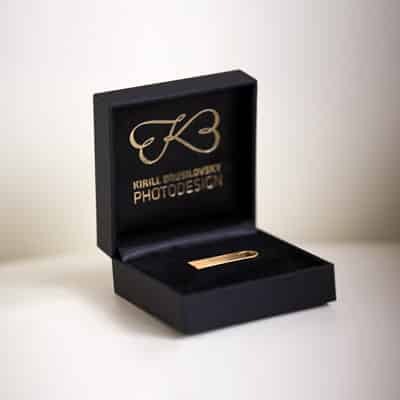 Included in all packages: Besides an online gallery for sharing your pictures with your friends you get your carefully post-processed wedding photos in high resolution, without logos or watermarks on a 24K gold-plated designer USB stick in a beautiful box. Your precious memories deserve nothing else! The main focus of my work is an authentic, journalist style wedding coverage. To achieve a complete story I prefer to spend with you a whole wedding day – from getting ready in the morning till the last event in the evening. For me not only the main events of your wedding day are important, but also small, but unforgettable moments, which would be lost forever, if not photographed. Most of my clients prefer natural, spontaneous portraits. Surely some of them are photographed during the coverage, but normally I plan some extra time alone with the couple to be able to concentrate on portraits without hurry. During the portrait session I bring my own ideas and guide you, but the most important for me is letting you constantly be yourself and feel comfortable and relaxed. Your wedding pictures are kept and presented best in a luxurious, individually designed wedding album. Such album is not just a container for some selected pictures – it tells a story of your very special day. Each book is designed individually and with love to detail. Creating an album I rely on my over 20 years work experience as a designer. I am offering exclusive wedding books and albums in a broad variety of styles and price ranges. You can order a wedding album after the wedding, but you get the best value for money if you order it together with photography as a package. You can find further information on my wedding art books here. Keep the story of your love in impressive and artistic pictures! A love story photo shooting gives you an impression of my work wise before the actual wedding. Casual, romantic or modern – the style of your pictures will be defined individually according to your wishes. You are marrying in a faraway land or you want to spend honeymoon at some exotic place. This is perhaps a lifetime opportunity for breathtaking, professional pictures with you being shooting stars! I would be glad to accompany you with my camera – for an exclusive wedding coverage or for a very special portrait session. Time to time I am also organizing photographic trips to exotic locations – please ask for the next dates! If you are expecting a creative wedding coverage on photos and additionally as a film, I am offering videography together with a second camera operator. With our equipment we both are capable of filming and making pictures with the same cameras and are offering a sophisticated fusion concept. Photo booth is a cult trend from the USA. It combines photography with a fun attraction for your wedding guests. After the professional camera and lighting equipment is set, you and your guests can make fun photos by themselves, using a remote control. You can see the photos immediately on a monitor. Later they are uploaded to a password-protected web gallery, which you can make available to all wedding guests and friends. This option is available only in addition to a whole day wedding coverage. As you see I am offering a bright variety of options, which can satisfy even the most demanding wedding couples. Each wedding is unique and different couples have different priorities. Conditions and prices may also vary on different weekdays and seasonally. Out of this reason I am not publishing any pricelists or packages. Instead I am offering each interested couple an in-depth consultation, either personal, per phone or skype, without any obligations. Together we go through the day planning, bespeak different possibilities, numerous options (and, of course their prices) and all possible questions. Afterwards I am able to make an idividual, transparent offer, which would meet all personal demands, special wishes and expectations. Please do not hesitate to inquire an appointment and additional information over the contact form.